Bird netting for gardens performs a number of functions. This first is the protection of fruit, vegetables, plants and trees from being destroyed or eaten by animals. The common misconception is that this garden netting only keeps out birds, but if used correctly can help to deter all manner of wildlife. The heart of a garden is often its crop, and the netting can be used to protect it by covering cages, trees, plots and more. It is very easy to install, it can be cut with scissors and is built to not fray when done so. 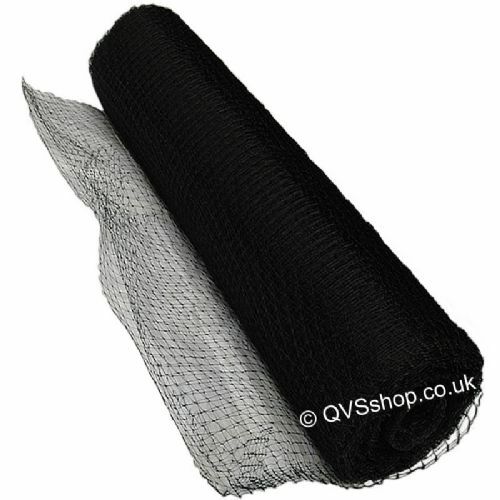 We have a wide range of sizes and heavy duty bird netting available. There are two types of meshing we sell, both rot-proof and UV stabilised. The extruded style is created from plastic and is a moulded economy net. It is a less expensive solution for covering large areas; often used for allotments and under roofing to prevent birds from settling and creating nests. The knitted netting (or knotted) style of anti bird net is a woven style. It is strengthened by weaving together synthetic strands to create an overall stronger structure. It is recommended that the garden bird netting is secured using the correct apparatus. Metal pegs are ideal for use when fixing the netting to the ground and rope/bungee products work well in roofs and around poles etc. Keep a safe distance between your crop and the meshing so birds cannot reach from the outside.